What is the coolest car currently on the market? 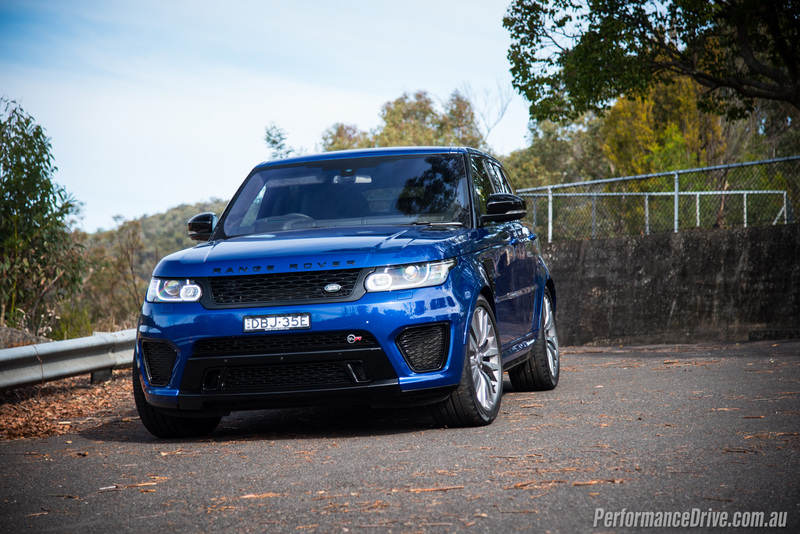 Well, it depends how you define ‘cool’, but we think this is it, the Range Rover Sport SVR. This isn’t going to be as much a critique but more a report to explain how we got to the answer so quickly. The SVR has posted the quickest-ever lap time around the Nurburgring for a production SUV. That’s cool. In all fairness though its main rivals from Germany, namely the BMW X5 M and Mercedes-AMG GLE 63, haven’t seriously attempted the record. But even still, this immediately signifies the sheer performance behind this machine. 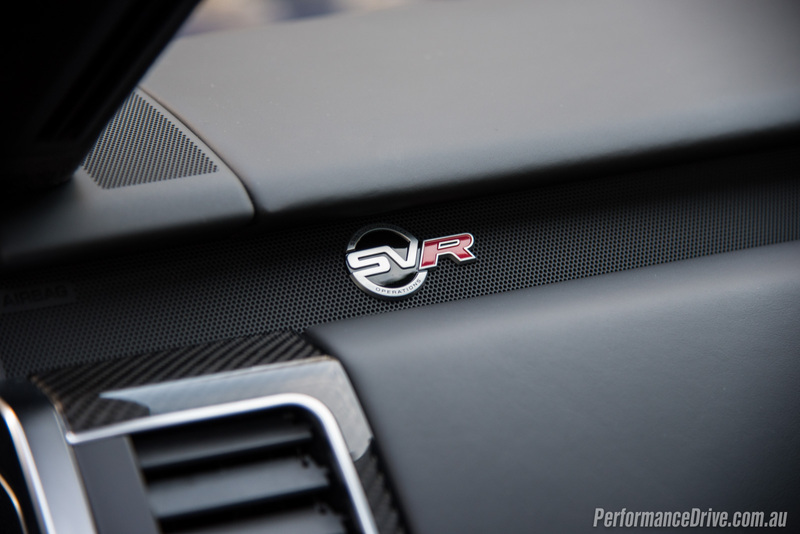 It’s the result of Jaguar Land Rover’s Special Vehicle Operations division, which provides extensive personalisation options and has just begun the business of making bespoke turn-key models like the SVR and the insane F-Type SVR. The Range Rover Sport SVR sits at the very top of the Range Rover Sport food chain. It’s more focused than the larger yet more luxurious SVAutobiography, and it is a little bit more affordable. Prices start at $226,350, making it the most expensive Sport on the market. 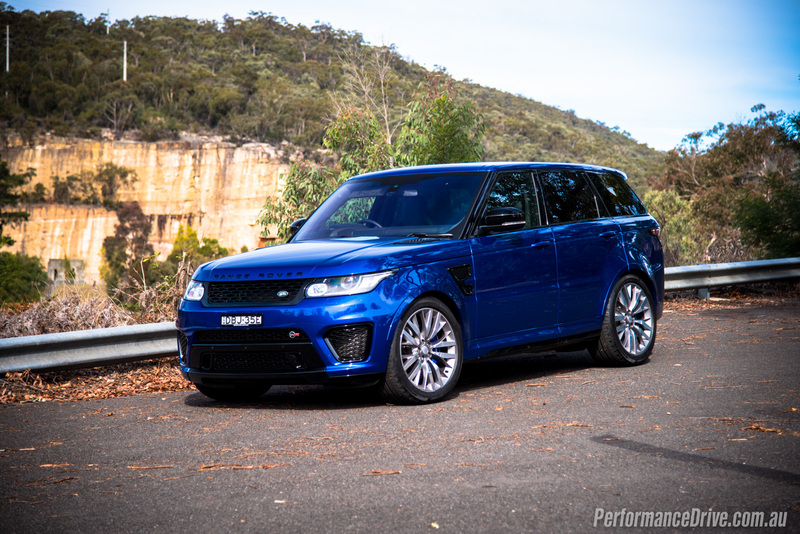 The SVAutobiography LWB V8SC (long wheelbase) remains the king of all Range Rovers, starting at $372,400. 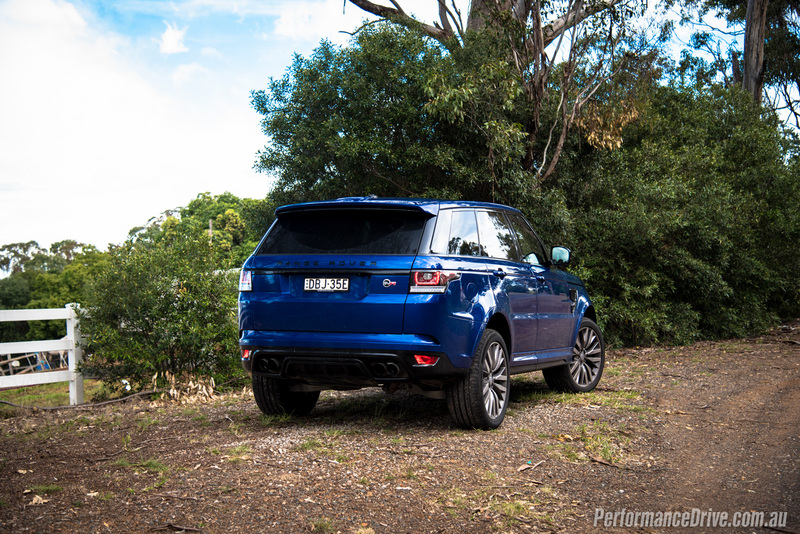 When the SVR initially launched last year it was the most powerful Land Rover production vehicle ever made. 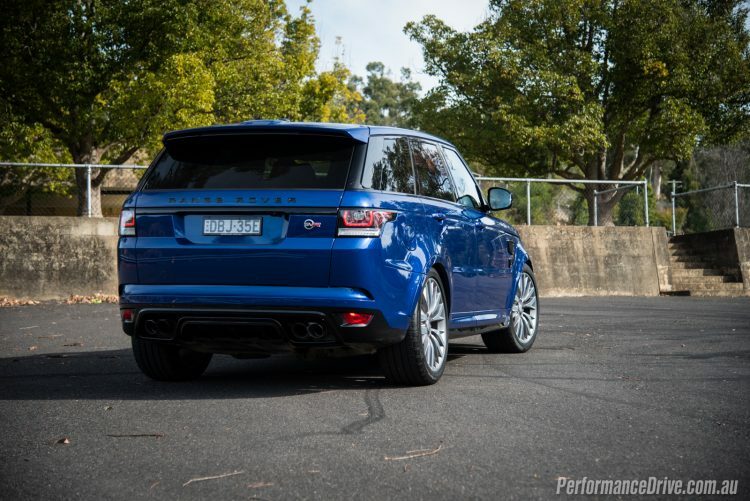 It features JLR’s 5.0-litre supercharged V8 developing 405kW and 680Nm. 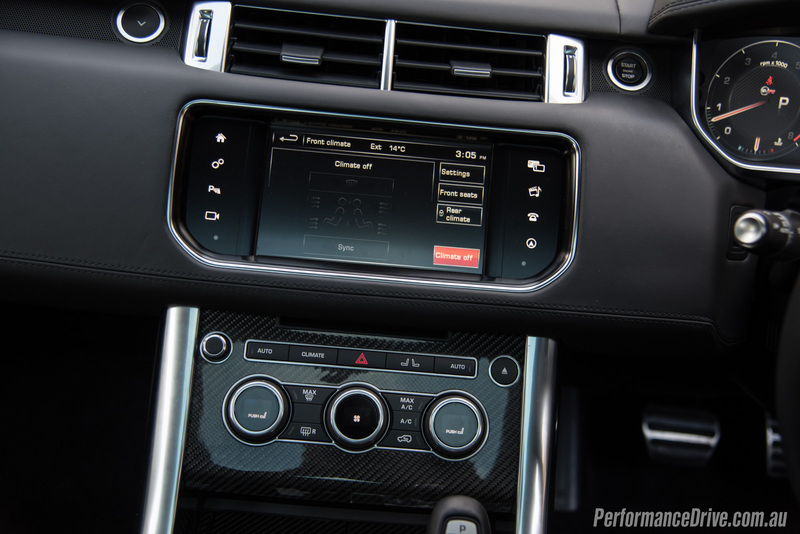 This insane engine can be seen in the F-Type R and it has since been introduced in the Range Rover SVAutobiography. 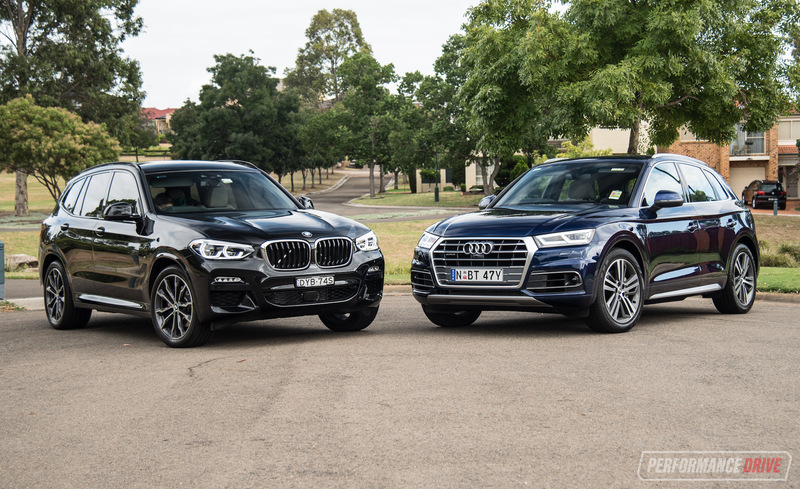 Up against the German rivals (BMW X5 M, Mercedes-AMG GLE 63, Porsche Cayenne Turbo S), it doesn’t quite reach their output levels – between 419-430kW – but it is well and truly up there. 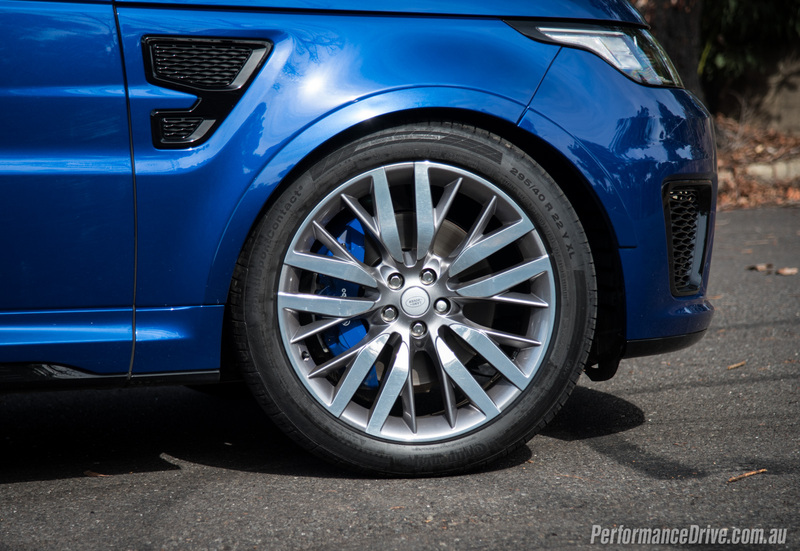 Not only does it come with an extremely powerful engine, the SVR also gets a comprehensive suite of track-bred components. 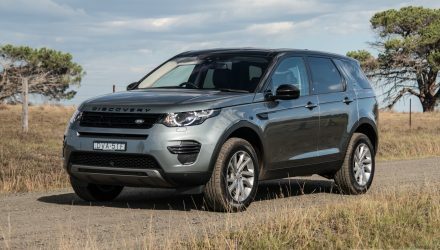 Electronic air suspension is standard with auto self-levelling technology and adjustable ride height to cope with either track driving or off-road terrain. 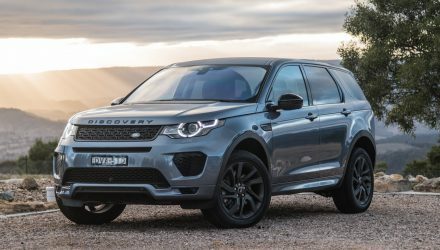 There’s also various driving modes that tie in with this, featuring Land Rover’s latest Terrain Response 2 system with Reactive Grounding Response and Adaptive Dynamics. A Dynamic driving mode is included for sporty driving, with standard torque vectoring power delivery for the optimum in cornering confidence. 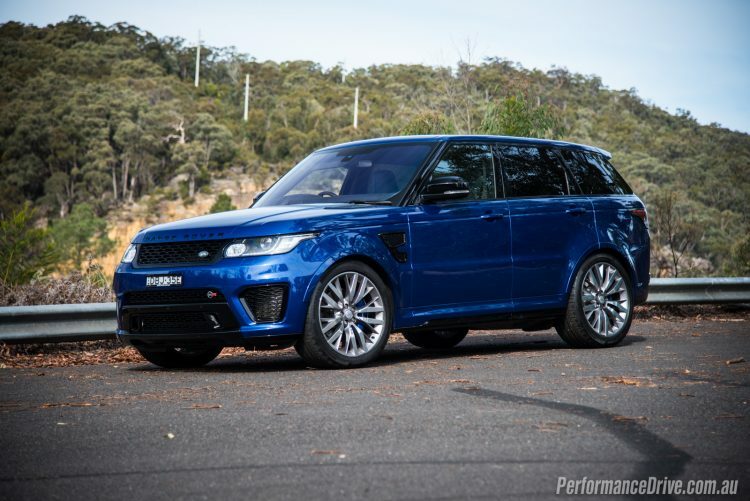 Interestingly, it shares the same eye-popping six-piston Brembo brakes as the regular 375kW SCV8 model. These do receive additional cooling ducts though to increase their longevity and endurance. Based on the Sport, it is still a large SUV. That means you get boundless room inside, with Range Rover’s traditionally great visibility through most windows. The side window sills are low, giving you a commanding view over your surroundings, while the dashboard sits pretty high for a semi-submerged, sporty seating position. The driving position is highly adjustable, with a power steering column making life easier, and of course power seats adjustable in 16 ways. 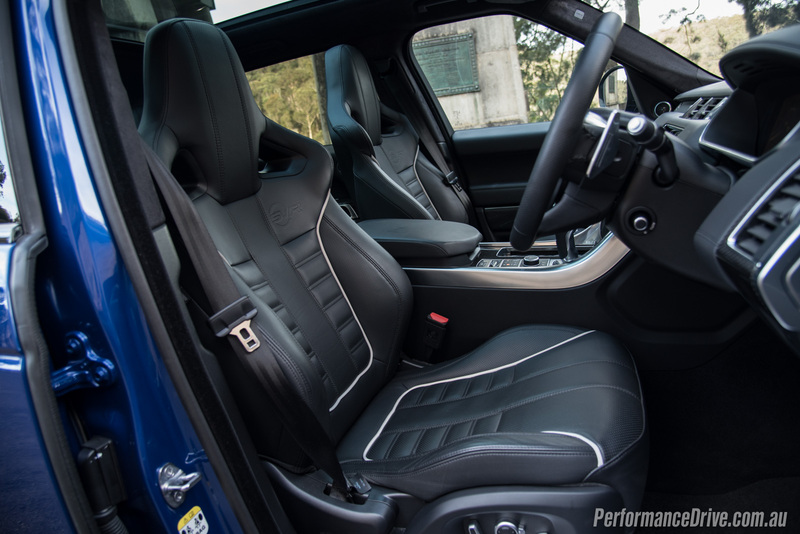 In the SVR you get bespoke sports bucket seats with big side bolsters to hold you in. The overall atmosphere of the cabin is luxury with a clear sporty focus. It’s the perfect blend, actually. 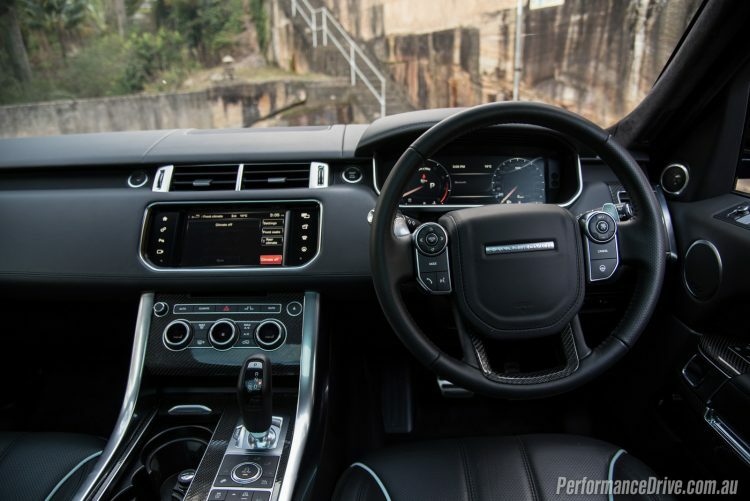 You get Range Rover’s typical class and quality, paired with some contrasting furniture and exotic highlights. 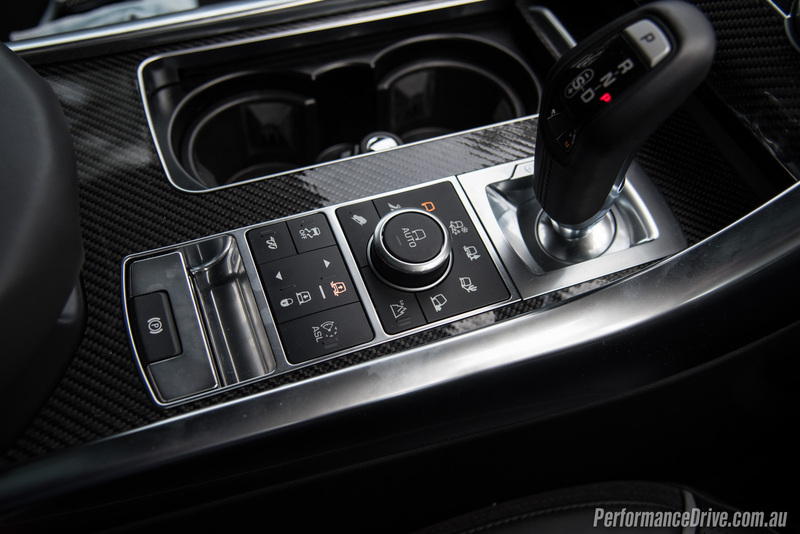 As standard the SVR comes with aluminium accents for the dash and door trims, but buyers can option for the full carbon fibre treatment (as tested) for an extra $3000. 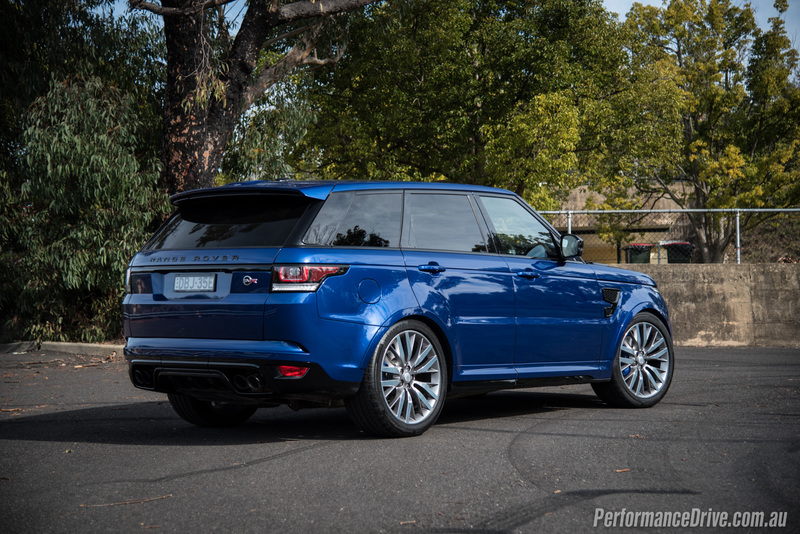 We think this option is worth ticking as it meshes well with the performance personality of SVR. 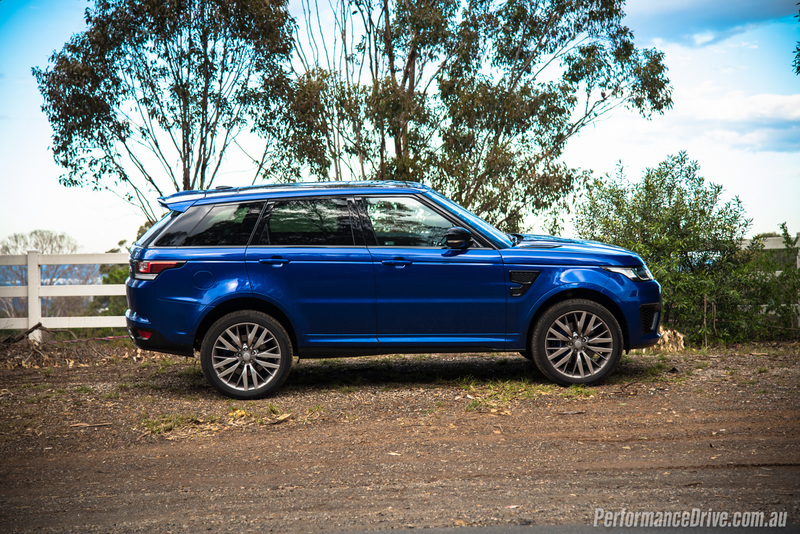 Despite its serious performance credentials the SVR remains a practical SUV. 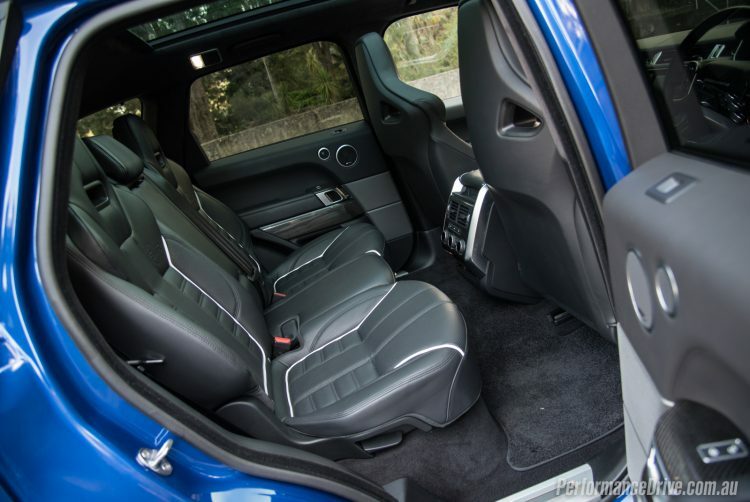 Rear passenger space is abundant, with the two outer seats shaped similarly to the front. There’s a completely flat floor too, so even the middle seat passenger is well catered for. 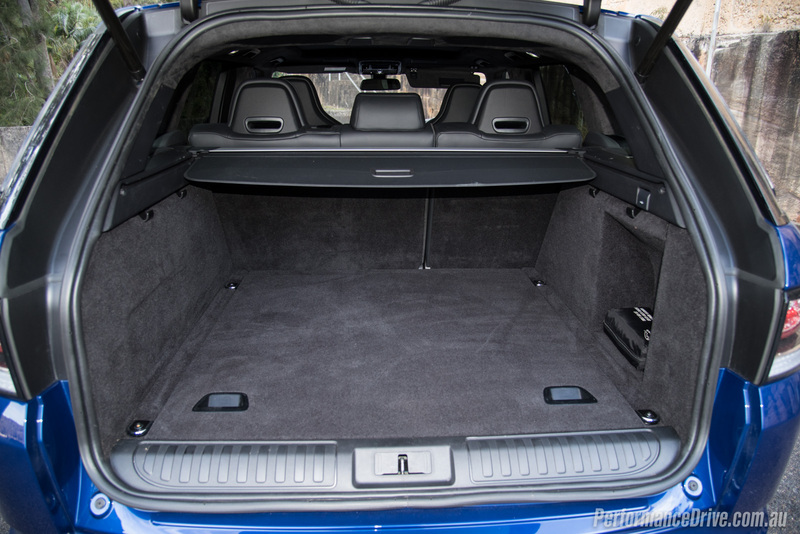 In the very back is a 784L cargo area, expandable to 1761L with the 60/40 split-fold rear bench folded down. Under the floor is a full-size (21-inch) spare wheel. Towing capacity is rated at 750kg or 3000kg with a braked trailer. Simply firing up the SVR gets the blood racing. It rumbles and gargles into life like no other SUV on sale. 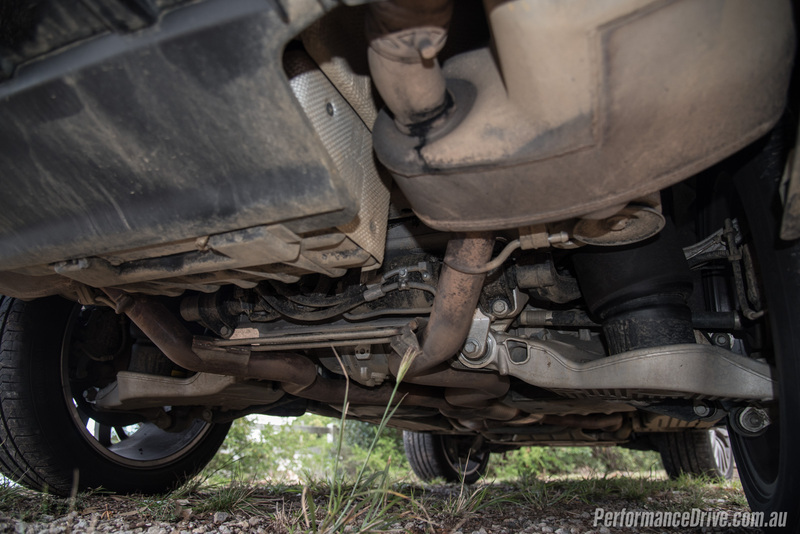 The dual-mode exhaust system, fitted as standard, provides a bellowing note when opened. Our neighbours were only too happy to be woken early in the morning as we fired up the beast. Give the throttle a tickle and you’ll be greeted by instant engine response and accompanying bursts of crackling supercharged V8 goodness. 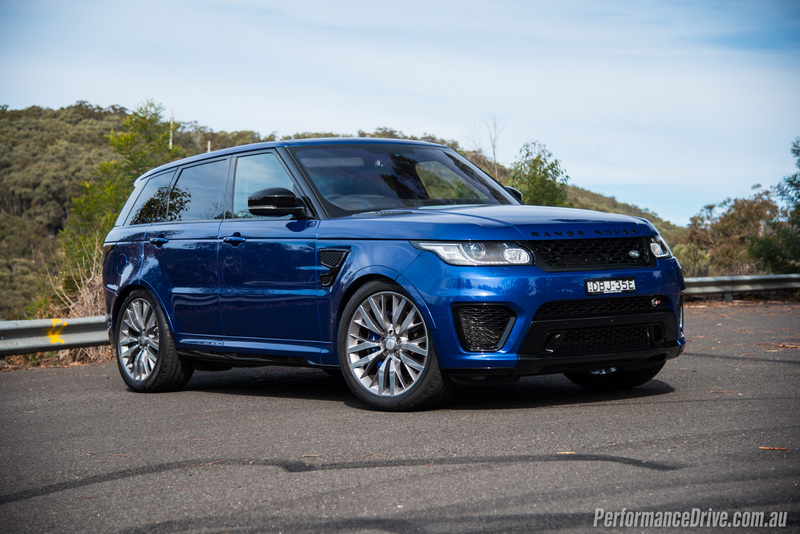 In normal driving conditions the SVR could be mistaken for a regular Sport, aside from the soothingly deep sounds of the Barry-White-like V8. 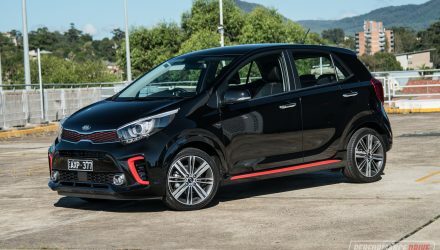 The steering is light and easy, and the brake and throttle are simple to modulate; you don’t need a special racing licence just to do the daily errands. In that sense you could use this as an everyday vehicle with no complaint. 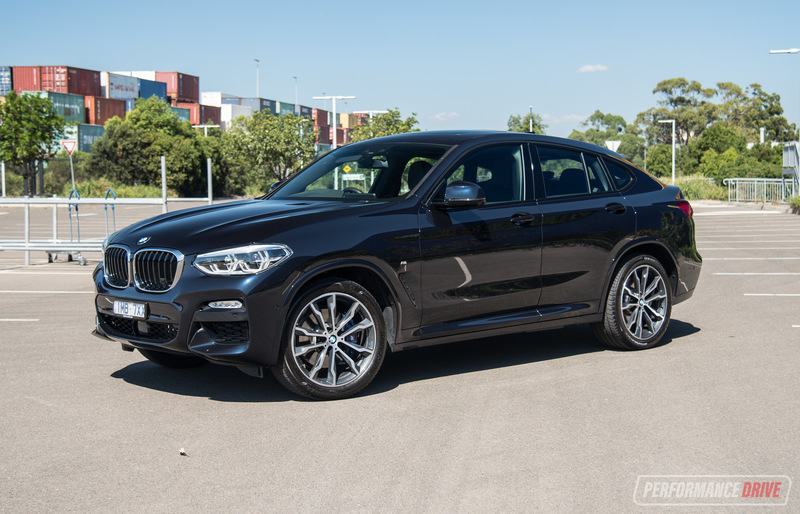 Ride quality is firm but not too firm, however, this test vehicle is fitted with optional 22-inch alloy wheels ($4940) which do come with lower profile tyres and slightly less forgiving sidewalls (275/45 R21 versus 295/40 R22). If you have the suspension in the lowest driveable position it doesn’t seem to sacrifice the ride compared with being in the highest setting. Body composure is almost identical in either mode. 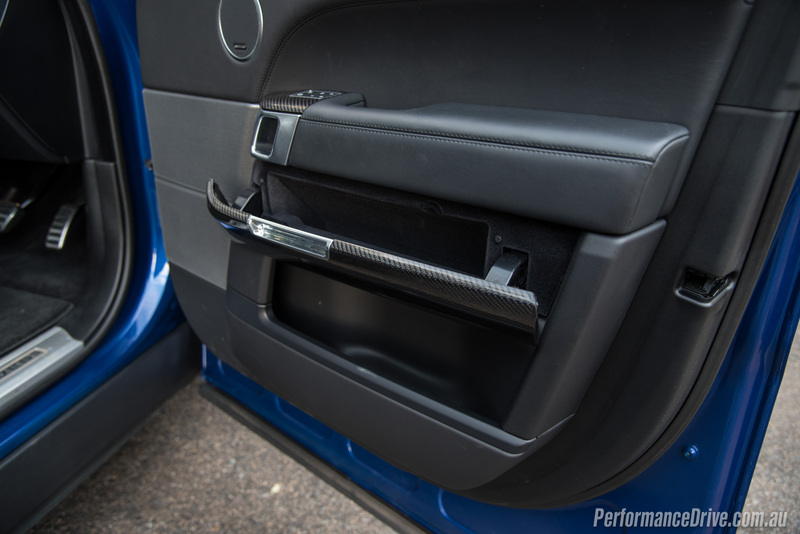 Range Rover has fitted a special noise, vibration and harshness comb to the unique front bumper bar to keep wind noise to a minimum. 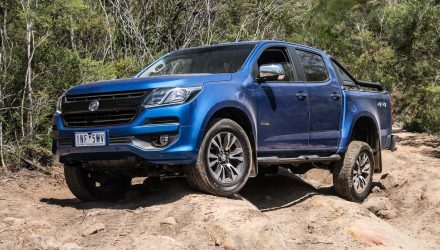 Although the front bumper bar is quite aggressive in terms of sportiness, the lower section can be removed if the driver requires more ground clearance in severe off-road conditions. Obviously the optional 22-inch wheels aren’t going to be your pick if you are planning on proper off-road driving. 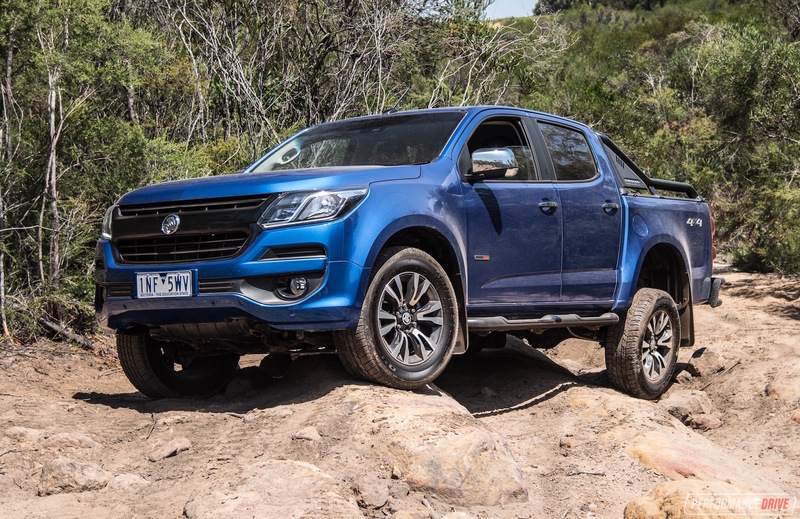 As such, we didn’t see it sensible to test this vehicle on varied terrains, but we’re sure it would perform well, especially with the advanced drivetrain technology underneath. Where we did test the vehicle was along our usual mountain route; it’s narrow, very technical with plenty of off-camber turns, and it has a wide mix of fast sweepers and tight hairpins. 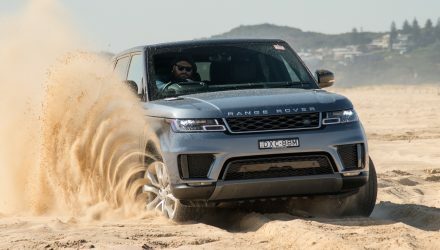 In this environment, with the Dynamic mode selected, the SVR is unstoppable. It feels like a much smaller, nimbler vehicle. At first we assumed it would be a bit of a handful, but it really isn’t. 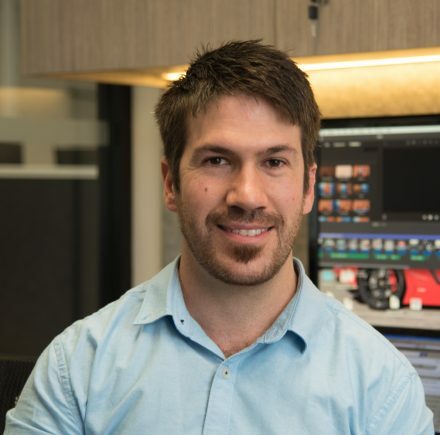 You can pinpoint the front end and it dives in, with no major body roll or after-shock. 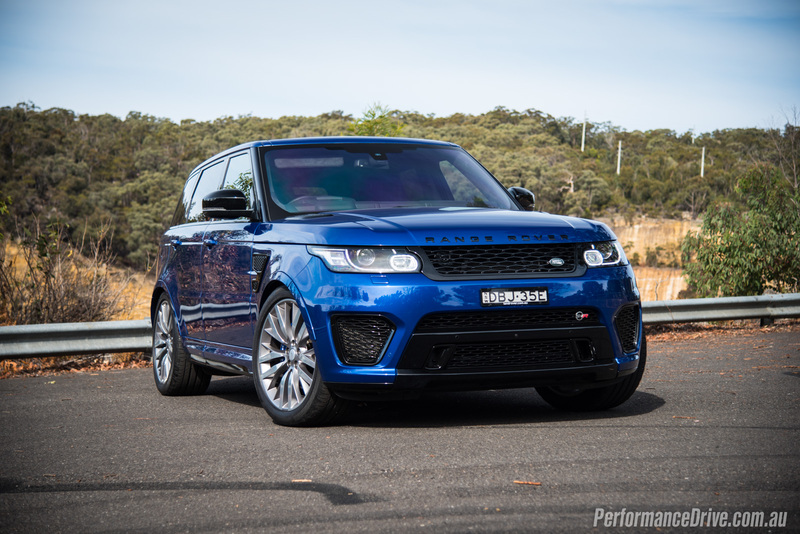 Body control is right on point and keeps up with your momentum, even during snappy directional changes; it’s no wonder it has set the Nurburgring SUV record. We did notice some torque-steer under full power in some of the tighter turns. But that’s to be expected considering the level of output and sheer mass (2256kg) being pulled around. Lastly, the engine power and performance. What can we say? Flat out this thing will blow your socks off. 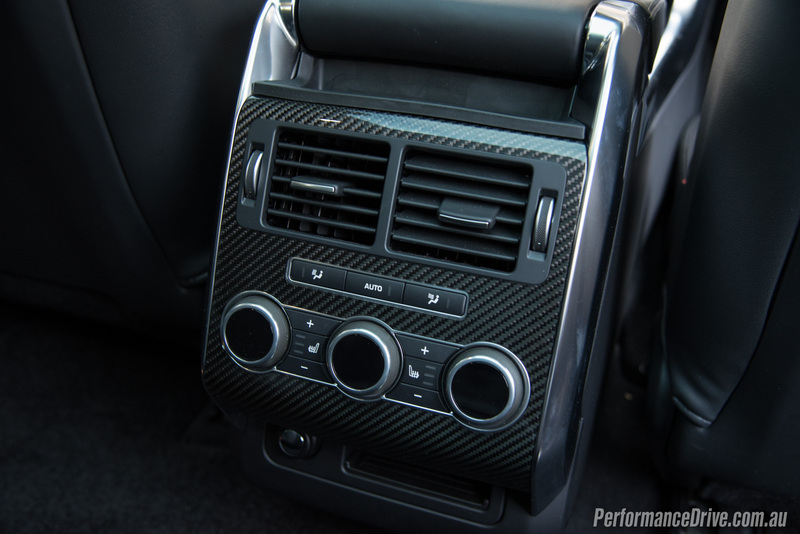 Speed is quickly reached under full throttle, and with 680Nm available between 2500 and 5500rpm, it means any gear at any time, you get immense acceleration. We timed 0-100km/h in 4.76 seconds. The sensation of moving such a mass makes it feel even quicker, with the quarter mile coming up in just 13.2 seconds. 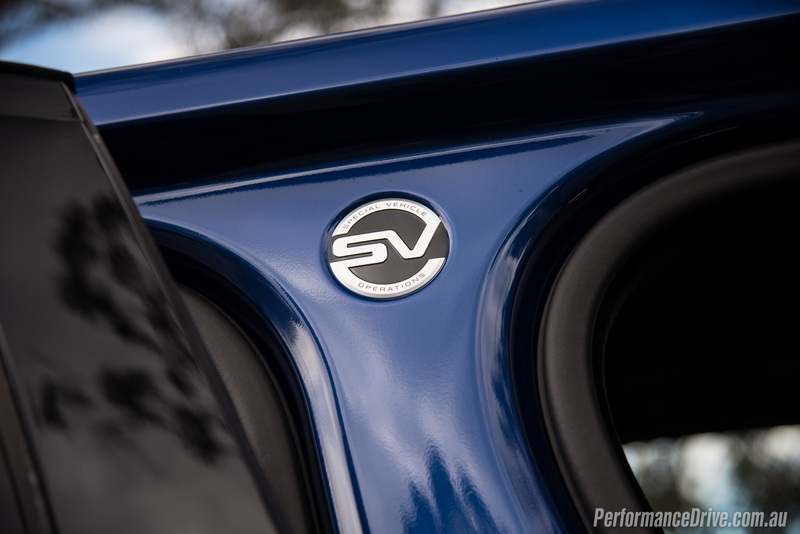 These figures – in the real world – make the SVR very similar to proper high-end super sports cars. And this is an SUV. What a machine. 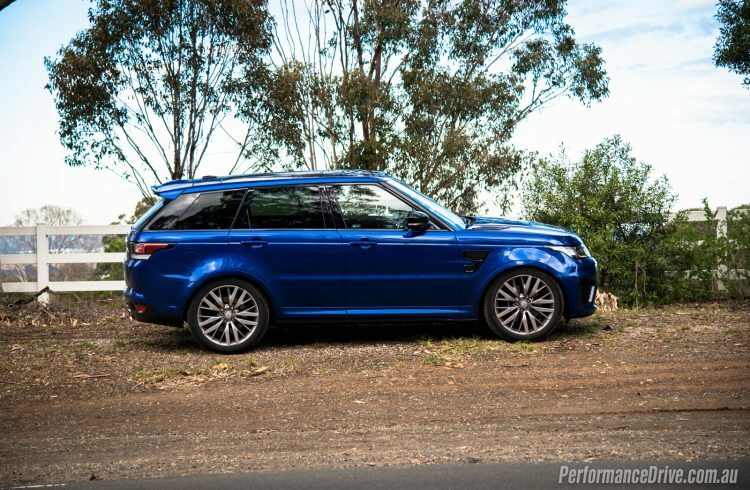 The SVR is a pleasure to drive in all conditions. 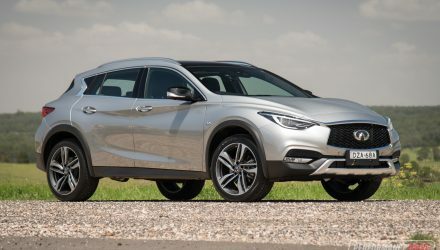 It can be a relaxing highway cruise or a flat-out mountain blast, and it can be used as a family car, weekend escape vehicle, or turn a few heads prowling the night. 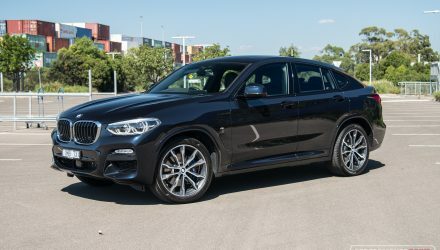 It doesn’t show off or stand out too much, like a supercar (although offering similar performance and sound), and it isn’t associated with the brand snobbery of the German rivals. 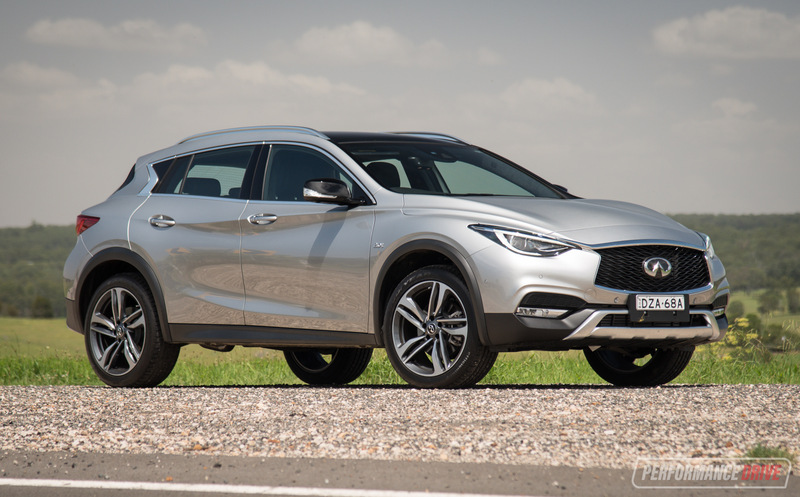 On top of all this, it’s an SUV; a vehicle category fast-becoming the most sought after. This is why we think it is the coolest vehicle currently on the market. We want one. 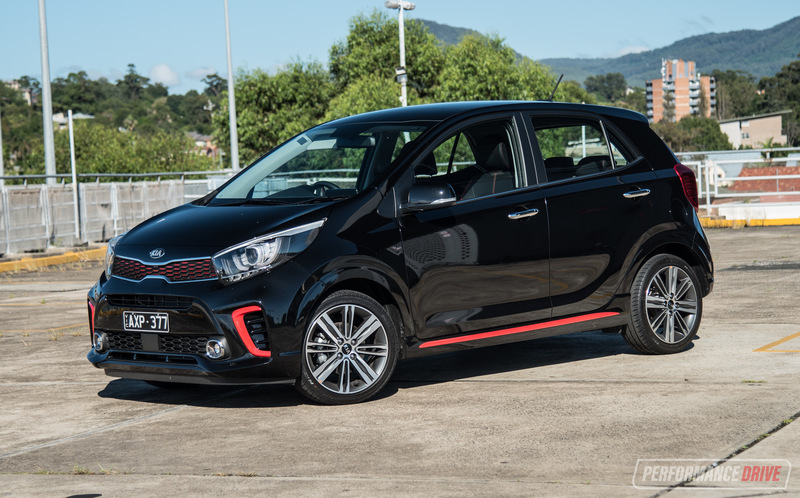 – Coolest car on the market?